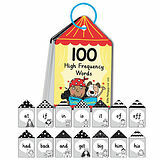 An essential keyring containing 100 High Frequency Words from Letters & Sounds. 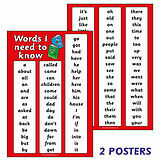 Double sided, printed on matt art paper and held together with a plastic split ring. The pack consists of 52 cards. Actual size: 90mm x 55mm. 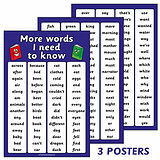 Simply pop into reading bags to encourage learning at home!